30 Drinks, in 5 days. I was recently tasked by Patrón Spirits Company, whom I've had the true pleasure of working with for almost 4 years to produce a photoshoot for their cocktail lab. Typically this is anywhere from a 2 to 3 day shoot at my good friend Andy Post's studio, (First of all, the sheer fact that I get access to one of the best food & beverage photographers in Dallas's studio is amazing in and of itself, but more on that in a separate post) and we'll turn out 12-18 images. 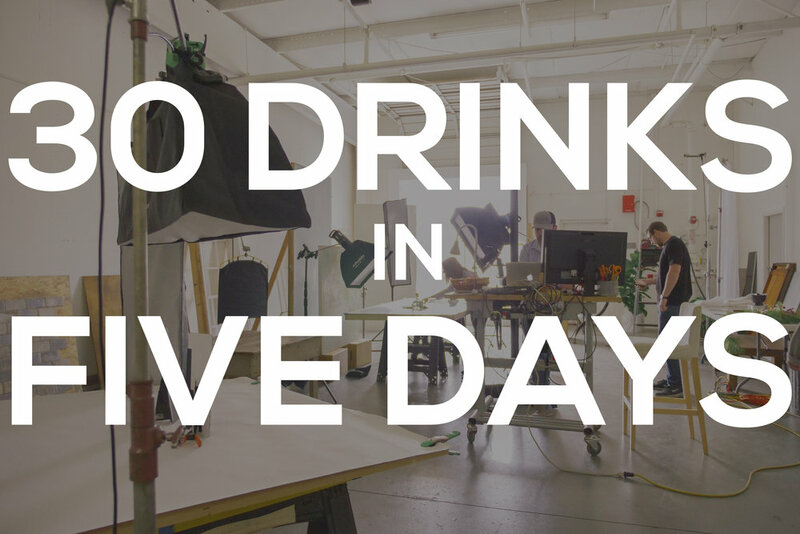 THIS TIME, Patrón wanted to shoot THIRTY drinks, in 5 days. I wasn't sure we were going to get through 6 drinks a day on our tiny little condensed schedule... but on day 1 we had already knocked out 2 drinks before lunch, that was one more than usual (with load in and set up after all...) I began to ease up and relax just a bit. After that, we powered through the rest and hit our 6 the very first day. We were actually on schedule! I was geeking out and I think everyone felt the energy I was emitting after getting a delicious lunch down! 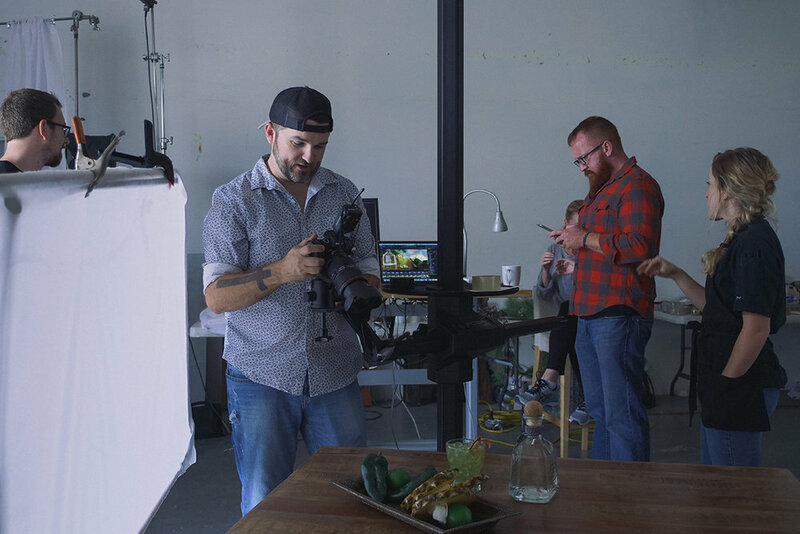 Over the next 5 days we hustled, got the shots done, worked closely with our client to make sure everything was perfect and at the tail end of a long week, we had some of the most beautiful drinks I've shot to date. I think a few things contributed to this, and I wanted to touch on it briefly. I'm not even kidding when I tell you that having a great, well choreographed crew will make your job SO much easier as a photographer. Having an Art Director who can think on their feet and make last minute pivots, and who can also at the same time remain on track with what you're about to imagine up is crucial, and thats why I have Kay. I trust her to make these prop budgets stretch to get EVERYTHING we could possibly need for the shoot, while not even having to focus on building sets myself anymore. My Stylist Megan has worked with me for several of these shoots and she's by far the most proficient , easy to work with stylist out there. She brought a ringer when she came out to the shoot with her assistant McKenzie who was also great to work with. I told their boss at FoodStylist.com they are my new "it" team. Evan and I have worked together once before, he was referred to me by my friend Johnny, who usually works with me on these shoots but was already booked out. Evan busted it to make sure things were lit properly and took a large part of the headache off of my shoulders. He also brought his ORLIT RoveLights which were great to work with! I was truly impressed with their battery life. I think over the entire week, shooting full power from some of the heads, we had two battery changes. Amazing. Find the BEST people you can work with, and make sure you hire them. Make the budgets work, do what you have to do because you will walk away with a MUCH better product than if you tried to do it all yourself. For the type of content I'm shooting, I've been shifting around gear off and on. I started out with a Canon 5Dsr because I liked the image fidelity and I've mostly always been in love with Canon's color science. Eventually I fell in love with Medium format, and moved over to shooting on the Hasselblad H1 with a PhaseOne IQ80 digital back. That system is still one of my all-time favorites, but after a recent trip to Iceland with some of my buddies, I was introduced to the Sony A7rII, and quickly became a fan. The true test was to see how it handles in a tethered scenario. I must say, out of all the reviews I read about slow transfer speeds, I didn't really notice anything too terribly slow. I loved the quality of the image I got out of it, especially after throwing on a metabones adapter and still being able to use my beautiful 24-70mm F/2.8. So after a late night on my laptop perusing around BHPhoto's website, I pulled the trigger and ordered one. It was nice not having to worry about rushing my rental gear back! All this to say, with food & beverage photos it doesn't matter what you use to light it, what you use to shoot it, as long as you make the food or drink look absolutely delectable. You could go overkill and rent a hasselblad and a phase one for $3k, OR you could drop less than that on a camera you could own and would be paying YOU each shoot you use it in the future. 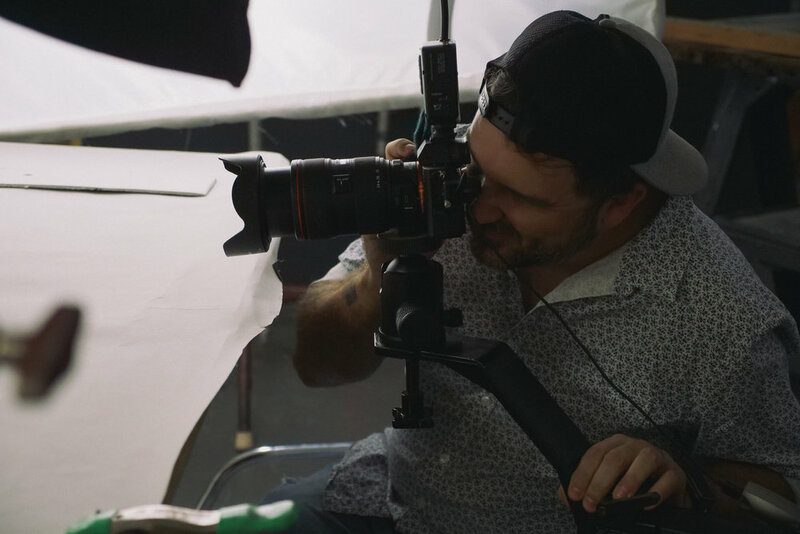 Thanks to my friends at The Media Dept I got this really sick BTS video to share with you guys from a day on my set. Feel free to comment below if you've got any questions and I'll be happy to answer whatever you've got!